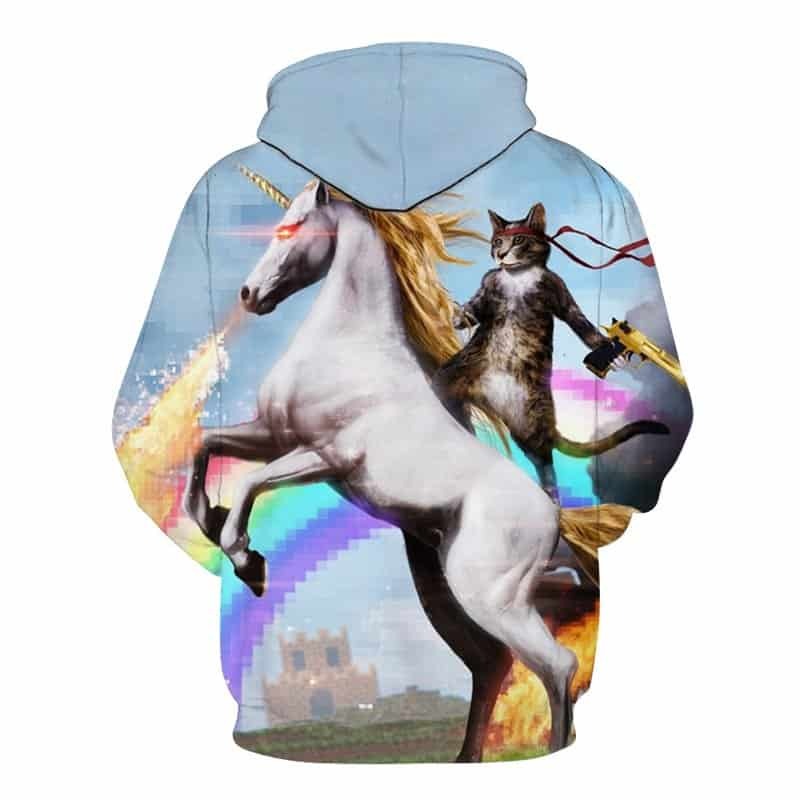 Probably our quirkiest hoodie. 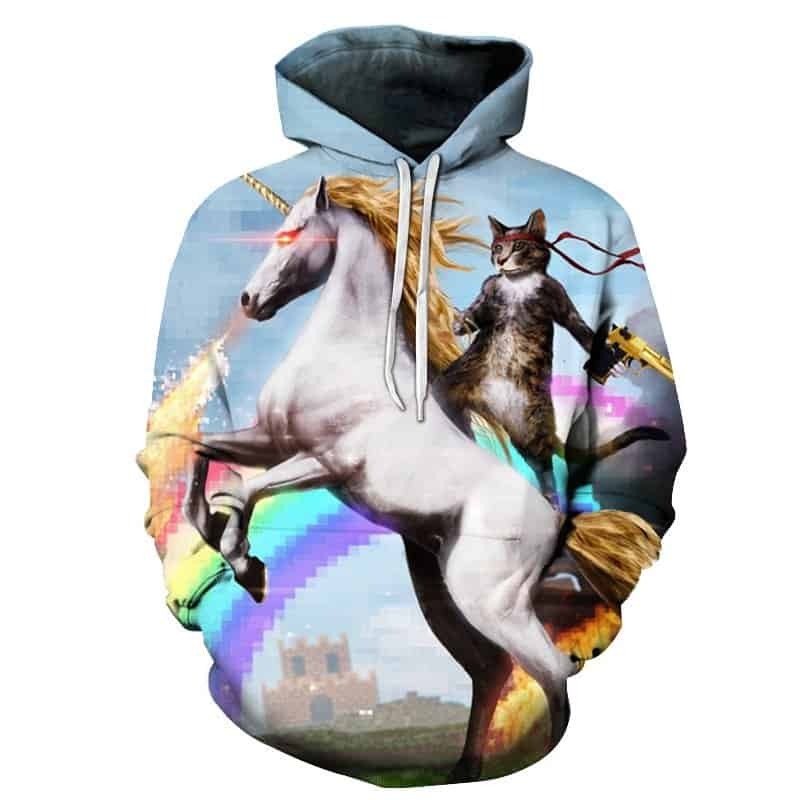 This Cat Riding a Unicorn Hoodie is majestic in its own right. The cat is a warrior and the unicorn is its trusted companion. A hoodie like this will create a lot of talking points at the dinner table, for the right reasons of course! The hoodie is comfortable to wear, looks fashionable and is wearable anywhere. It was designed for both male and female.